They are among a record number of women seeking office in 2018, from governorships to the House and Senate. Women recorded milestone firsts in Democratic primaries for governor in Georgia and Texas on Tuesday, as other female candidates were victorious in multiple contests to run for the U.S. House in November. In Georgia, Democrat Stacey Abrams became the first black woman to win a major party nomination for governor, running on a platform that focused on economic fairness and mobility, overhauling the criminal justice system, and LGBTQ rights. Texas Democrats nominated former Dallas County Sheriff Lupe Valdez as their candidate for governor, making her the first Latina and the first openly gay candidate selected for the office by a major party in the state. Both women face difficult general election races in November in states where Republicans dominate top offices. Abrams will face either Lt. Gov. Casey Cagle or Secretary of State Brian Kemp who advanced to a July runoff for the Republican nomination. 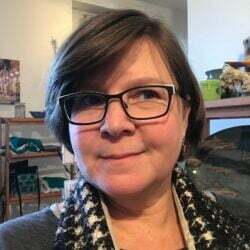 Valdez will be running against incumbent Republican Gov. Greg Abbott. They are among a record number of women seeking office in 2018, from governorships to the House and Senate. Almost three-fourths of the women running are Democrats, and they’re a central element of the party’s strategy for regaining control of the House. With Tuesday’s runoff in Texas, 18 of the Democratic candidates for 36 House districts are women. Primaries also were held on Tuesday in Kentucky and Arkansas. 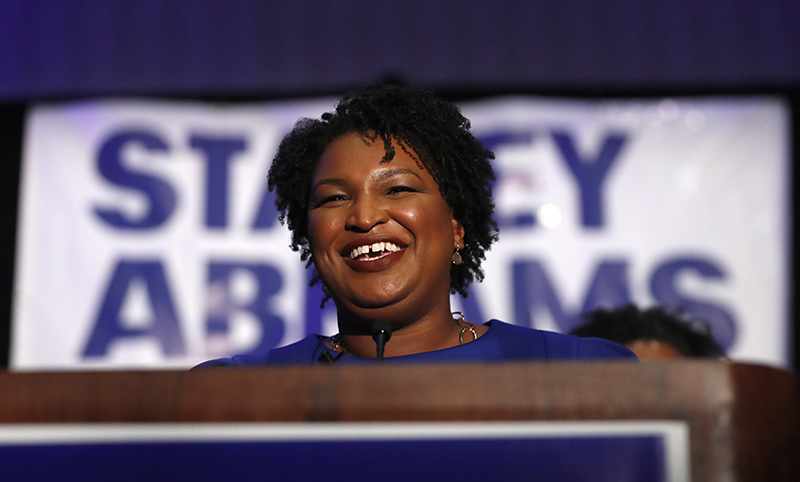 Abrams, the former Democratic leader in the state House, got 76 percent of the vote in her victory over Stacey Evans, also a former member of the legislature. The Georgia governor’s race will be closely watched, both as a sign of whether a black woman can win a governorship in the Deep South, and whether Democrats can seize on changing demographics in Georgia to make the traditionally Republican-leaning state competitive. Sen. Cory Booker of New Jersey congratulated her in a Twitter post and encouraged his four million followers to donate to her campaign. Tharon Johnson, a Democratic political consultant based in Atlanta said the formula for an Abrams victory would be registering new voters and generating “massive turnout” from a liberal base in Atlanta as well as appealing to independent voters and women who are disillusioned with President Donald Trump. “She’d be not only first woman, but the first black woman and the first liberal” to become governor of Georgia, Johnson said. Reaching that goal will be a major challenge. While demographic changes have made Georgia less solidly Republican than other Southern states — Trump won there by 5 points in 2016 — the GOP still dominates in state offices. Valdez defeated Andrew White, the son of former Texas governor Mark White. Another closely watched contest was the Democratic primary in a competitive Houston-area district to take on incumbent Republican Rep. John Culberson. In that bitterly fought race, Lizzie Pannill Fletcher, a lawyer, decisively defeated Laura Moser, a progressive activist, for the nomination to face Culberson in November. But that galvanized liberals in the primary and Moser made the runoff. She earned the support of Our Revolution, a spinoff of Senator Bernie Sanders’ 2016 presidential campaign. “Lizzie won her competitive primary by talking straight to voters in Houston about the issues that actually matter to their economic security, health and children’s future. Lizzie is in a very strong position for the general election,” DCCC Chairman Ben Ray Lujan said in a statement. In another Democratic contest for a Texas House race, Gina Ortiz Jones, an Air Force veteran backed by Emily’s List, defeated Rick Trevino, a teacher also aligned with the views of Sanders. Ortiz Jones would be the first openly lesbian and Filipina-American to represent Texas. She will face Republican Representative Will Hurd in a Hispanic-majority and politically competitive district that stretches from San Antonio to El Paso and includes hundreds of miles of the U.S.-Mexico border. In Kentucky, Amy McGrath, a former Marine fighter pilot, won in an upset over Lexington Mayor Jim Gray in a Democratic primary for a House district that includes Lexington and Frankfort. She’ll face Republican Rep. Andy Barr in November.